I was very fortunate that the storm did backbuild, but also become stronger with a weakly structured rain free base (RFB). 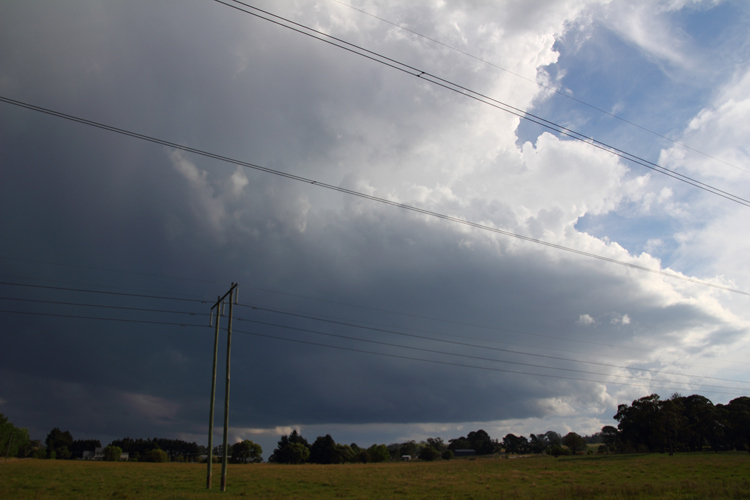 I repositioned slightly to get a better view and the storm now shows some nice structure, this was very slowly rotating - on a US mid west scale a 1 out of 10, but good for us. 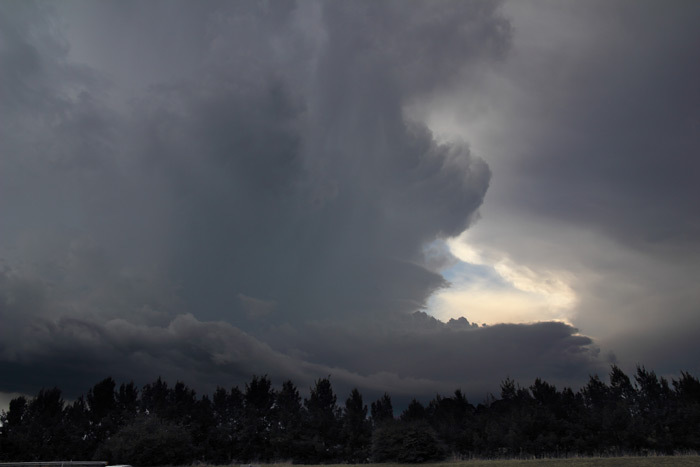 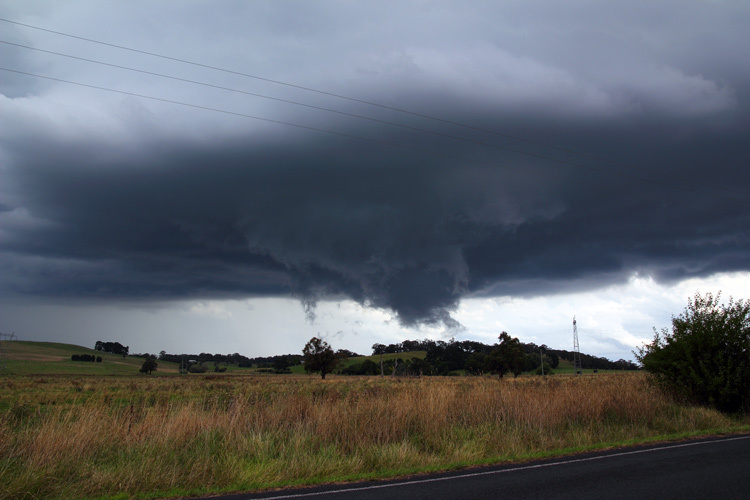 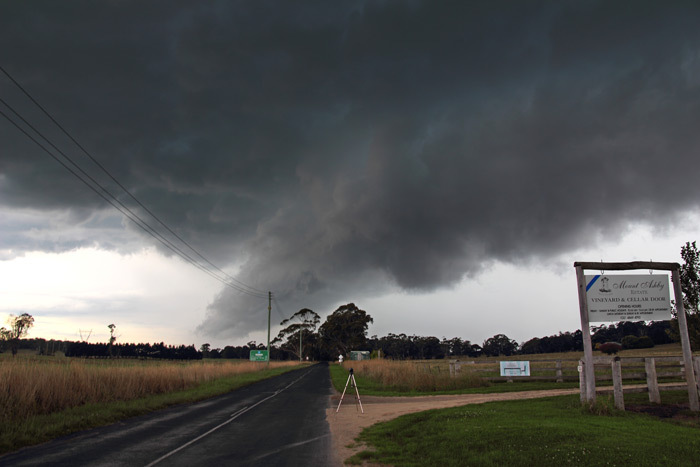 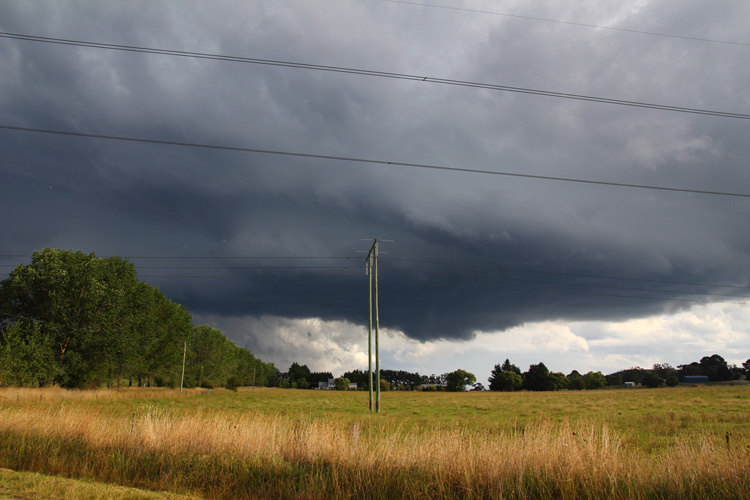 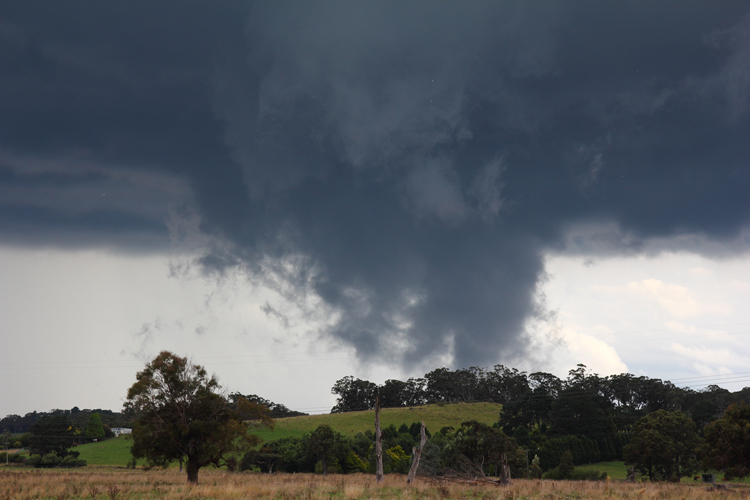 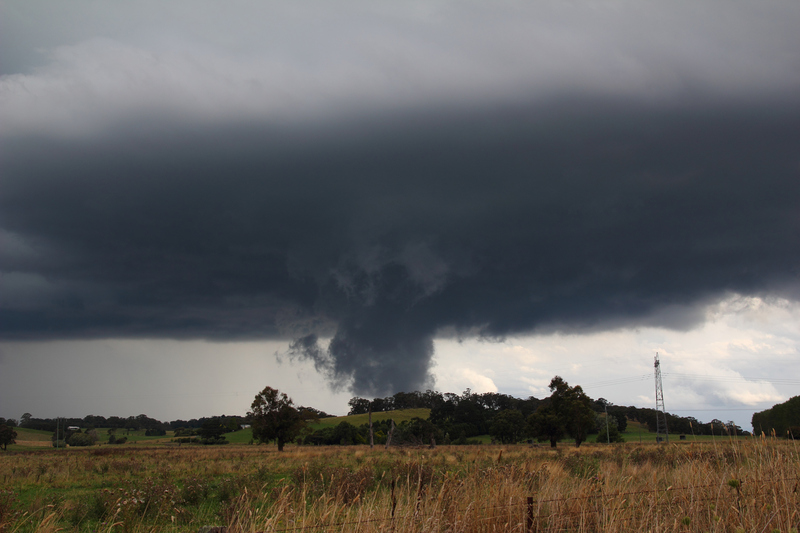 At this stage the storm becomes outflow dominated and unleashes strong winds and large hail. 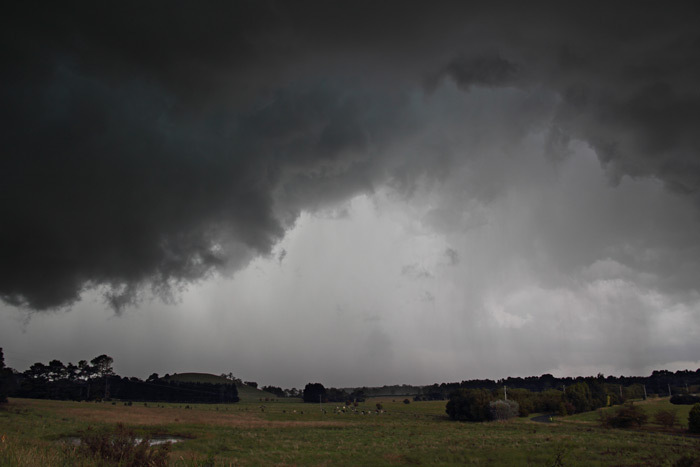 The storm weakens as the line of junk from the west begins to take over the region, but not before hail denting my car.